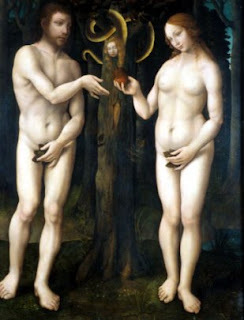 It all started when Eve asked Adam, “Does this fig leaf make me look fat?" Women throughout time have fretted about their clothes. Traditionally, women have three wardrobes hanging in their closet. We have our winter clothes, our summer clothes, and our fat and skinny clothes. But, no matter what we have, we haven’t a thing to wear. The mother of the bride dress serves a purpose. It prevents a woman from upstaging a bride on her wedding day. What else can I say? These dresses are frumpy. I’m always looking for ways to save a buck, but this is NOT the way to save money. This dress, made from glittery spandex, and accessorized with a matching macramé shawl, shower cap, and plastic rhinestone sunglasses screams, “I’m a Blue Light Special.” Cheap dresses look cheap. Period. 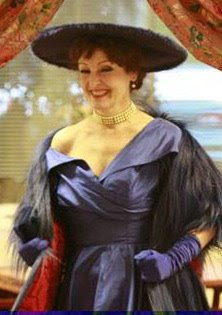 I heard Rett Butler say, “Quite frankly my dear, I don’t give a damn,” every time I saw one of these dresses at the mall. 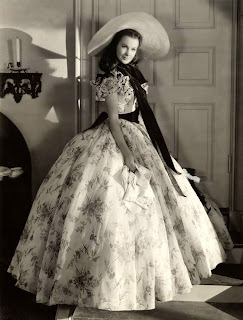 Southern belle dresses are poofy, and they are covered in ruffles, ribbons, and bows. These dresses are not age appropriate for women like me. Not that I’m old. Just sayin’. A prostitute dress is just like Paris Hilton. It’s sleazy, lacks substance, and looks cheap. Enough said. This dress is too strange for words. I think space aliens design bizarreo world dresses. Dresses like this one are very expensive, and a lot of rich people like them. It just proves that money can't buy good taste. No one in the real world would be caught dead in this type of dress. I’m wearing a little black dress to the banquet. 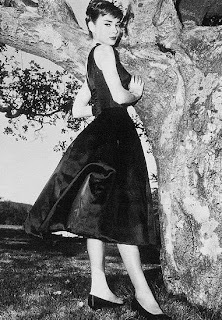 My dress is an updated version of Audrey Hepburn's dress, and it's very elegant. Do not confuse the little black dress with a black funeral frock. Those dresses are dreary and depressing. I bought my dress at Macy’s. It was marked down by 50%, and there’s nothing depressing about that. I promise you a full report after the banquet. Are you suuuure we can't talk you into a bizarro dress? You left out the Ellie May Clampett burlap special. You go girl! It doesn't matter how you got the dress or how much it costs, only how good you feel wearing it. If you feel like a million bucks and it looks good, they'll all think it was a good choice. An excellent post. Eve never had the problem of picking which dress to wear. Shoes? You didn't mention shoes or shawl or jewels. And you have to have bling.....what bling are you wearing? Tell all before you leave and are swept away by all the awards and never speak to us again. Awesome. . I hope you were invited because you were nomintated! You deserve it. I would go with the Audrey Hepburn look if your bod can handle it. Hey if not, call da Oscar de la Tent Maker. . .that is what I do!!! Also, thanks for the link to my blog! Thank you for all of your kind words. No, I’m not a nominee, but I nominated a coworker who is now a finalist. I hope he wins because he is totally deserving of the award. Yes Drugmonkey, I will if you will. And by the way, what size pantyhose do YOU wear? You looked mahvelous in that stunning black dress, dahling! Waiting on the full report!! Totally amusing fashion report. David sent me. Hi there. I came over from David's place and thoroughly enjoyed this tour through the horrors of shopping for dresses. I recently underwent a similar ordeal shopping for my daughter's college graduation. And yes, I went with black and managed to find something not too terribly slutty OR funereal. Too fun! This was so well written and spot on. Came over from David's. Kudos! I am laughing about this whole thing! Nurses are notoriously bad and don't know how to spell "couture" much less wear it. Glad you chose the simplicity of classic black. I have worn it to several high-end events myself. Bling? It must be subdued elegance for such events. Jackie O' knew how to pull that one off.